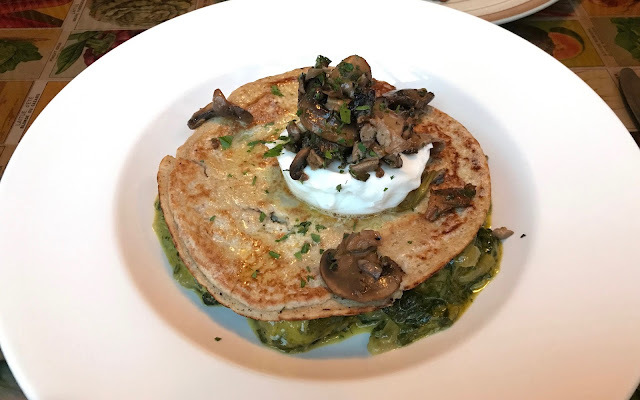 Going Vegetarian at The Waiting Room, Eaglescliffe | gingerbread smiles. For two birthdays on the trot now I've visited The Waiting Room and on both occasions the food has been delicious. 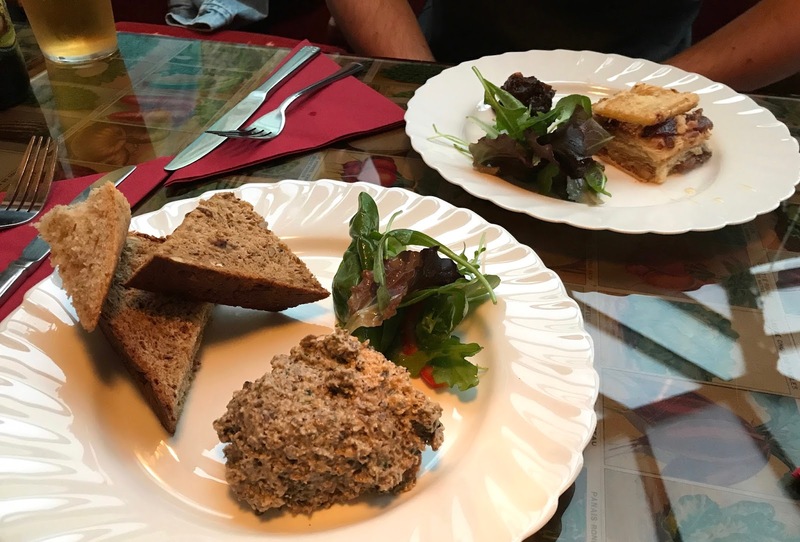 The Waiting Room is a vegetarian restaurant located a stones away throw from Eaglescliffe train station. Its menu changes seasonally and is always full of amazing creative items that won't make you miss having meat for the night. We visited on Friday night and this year sat in the back conservatory area. With its reclaimed cinema seating and eclectic decor, this area sits away from the main eating area at the front, giving you a feeling of privacy. Having already surveyed the menu before we visited, I was pretty sure of my choices. For our starers I picked the hazelnut, mushroom and parsley pate and Matt chose the goats cheese, spice red onion and almond baklava. Both were very nice, but I kind of wish I'd picked Matt's dish as mine was a lot of hazelnut and not as mushroom flavour as I'd hoped. For our mains I wanted to go with something that I knew I would enjoy. 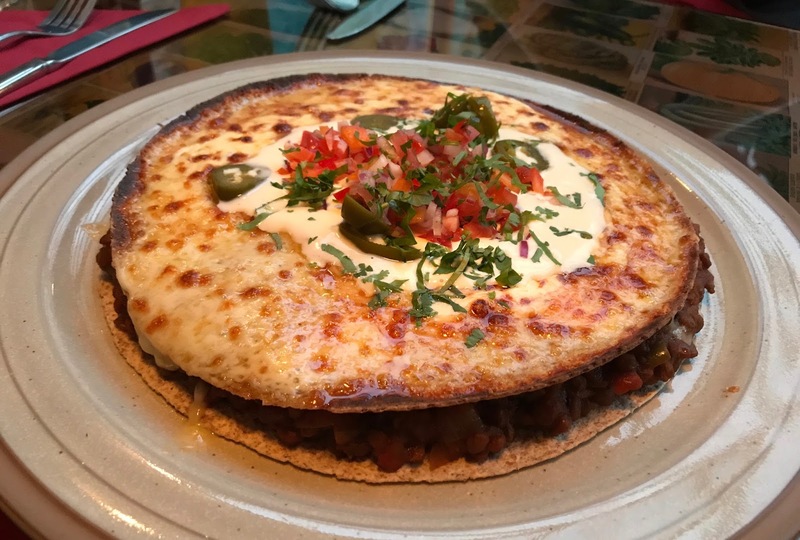 Last year I decided to go for items that sounded nice and were a bit of a different meal for me, but I ended up being disappointed as I'd gone too far out of my comfort zone. On our most recent visit I chose the infamous and highly-reccommended puy chilli wholemeal enchilada and Matt went for the roast garlic, courgette and spinach buckwheat galette with organic poached egg. When mine arrived it was massive! It tasted amazing, so full of flavour and heat from the chilli. I didn't manage to finish it all but they kindly packed it up for me to enjoy the next day (which I did). Matt thought his dish was gorgeous with a good mix of flavours and the addition of the egg on top really tied it all together. Although we were both bursting at the seams, for a birthday meal it would be rude to not get dessert. Matt went for his regular, sticky toffee pudding, and I chose the chocolate pecan brownie. 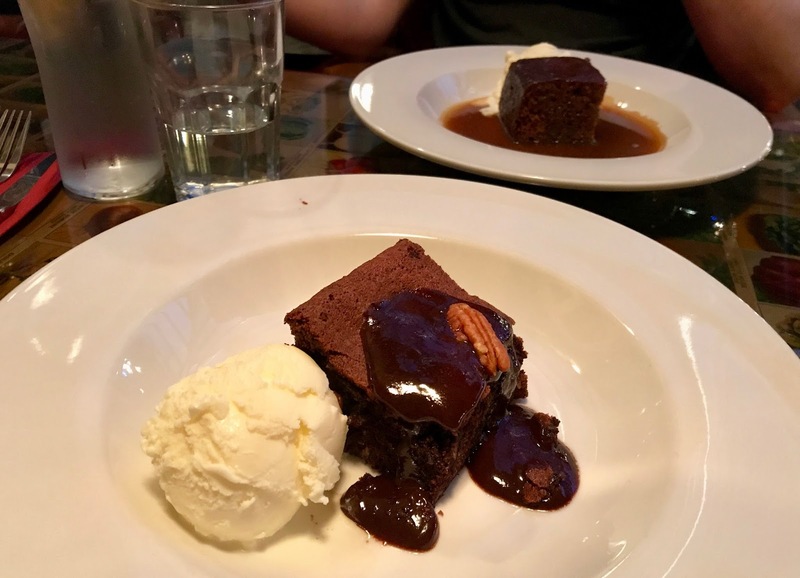 The sticky toffee pudding did not disappoint and the brownie was super decadent and gorgeous with the ice cream. Overall I really enjoy visiting The Waiting Room. There is always something different to try and as I'm a fussy meat eater, I know I'm always going to enjoy all the vegetables! Have you visited The Waiting Room?